A high-quality and highly functional nappy bag. With many extras. The nappy bag can be used even after the nappy phase. The bag is made of high-quality material. It is water-repellent and therefore easy to clean and durable. 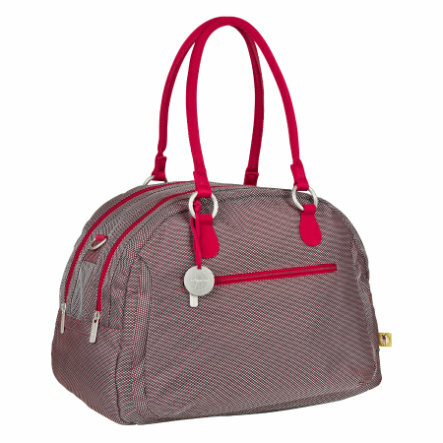 The Bowler Bag and the All-in-One Pouch has well-organised inner compartments and provides sufficient storage space for nappies, bibs, bottles and jars. When you take the pouch out, the nappy bag turns into a trendy companion with compartments for mobile phones and much storage space. The Bowler Bag features an adjustable shoulder strap.